Sat., Feb. 10, 2018, 9:04 a.m. 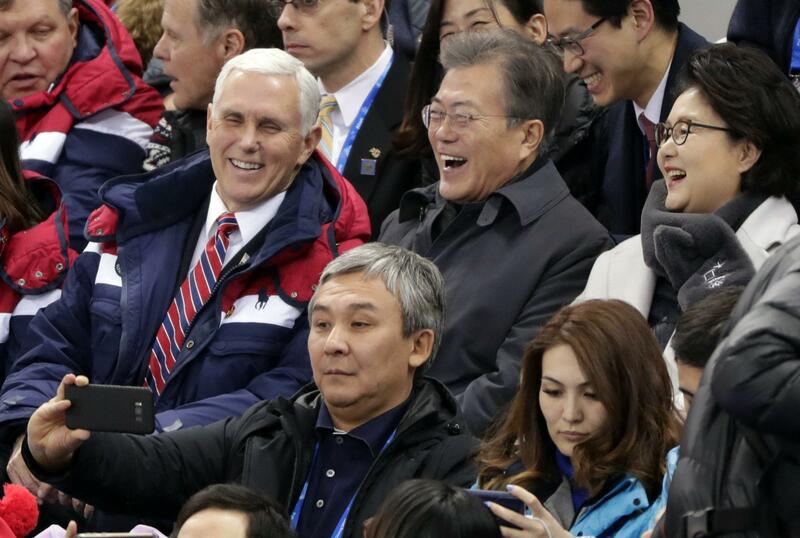 ABOARD AIR FORCE TWO – Vice President Mike Pence’s efforts to keep North Korea from stealing the show at the Winter Olympics proved short-lived, drowned out by images of the two Koreas marching and competing as one. Pence said Friday the U.S. would oppose talks between the two Koreas until the North agreed to open negotiations on ending its nuclear program. At a Friday VIP reception for delegation leaders, Pence arrived late and stayed for just five minutes – and did not interact with the delegation from the North. Published: Feb. 10, 2018, 9:04 a.m.